Musicians depend greatly of their inspiration, and Rhyme Genie is the perfect ally so they can always rely on the latter. This music dictionary has all kinds of resources to encourage their creativity. 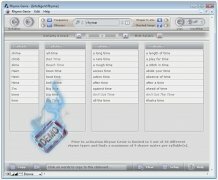 Music dictionary with more than 300,000 entries: 170,000 sentences, 35,000 unique names, etc. 30 different types of rhymes. 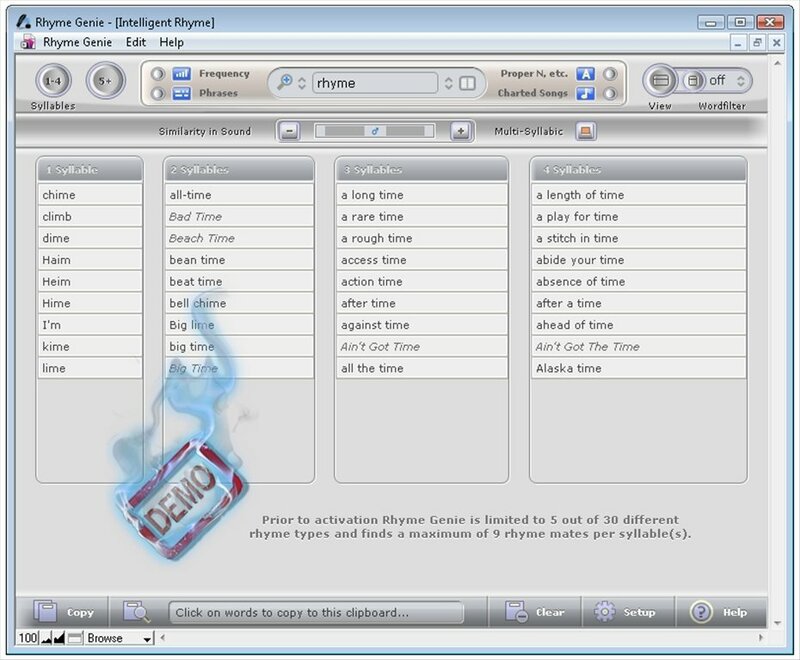 Create perfect rhymes using the powerful search algorithm included in the software. Search for phonetic similarities or exact words. 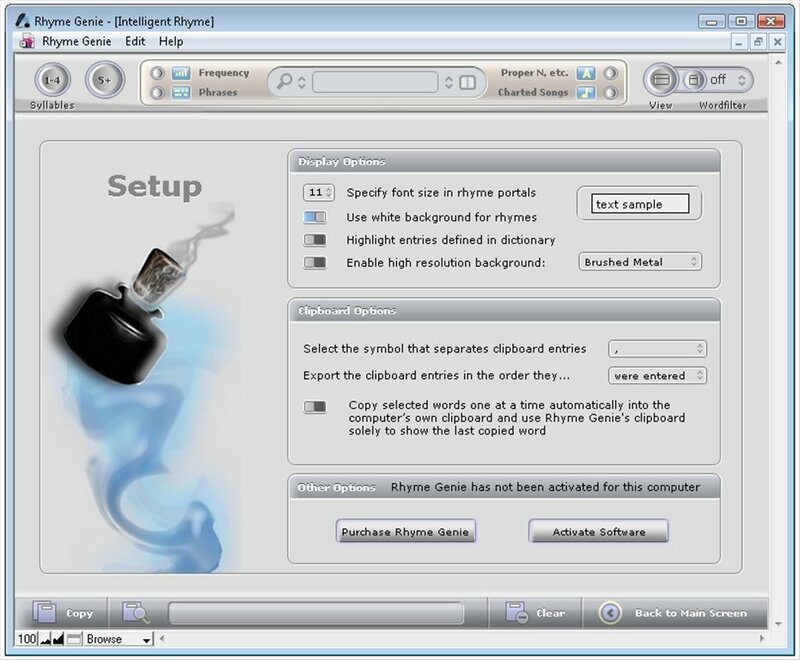 Inspiration can be fleeting and professional tools such as Rhyme Genie will make sure that you can work no matter what. Your songs have to be successful to have impact on the general public and any tool that helps to improve the lyrics of the songs is always welcome. 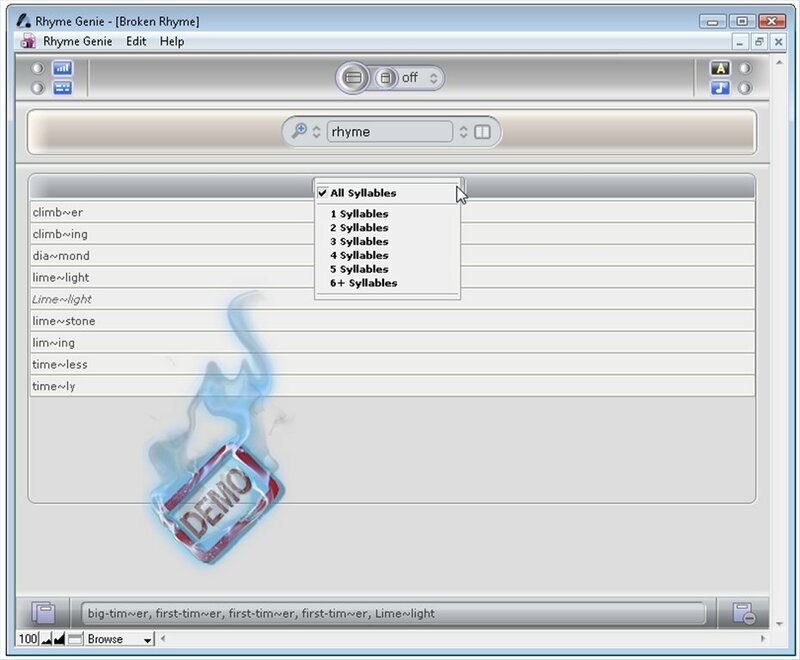 Download Rhyme Genie, the music rhymes dictionary that is perfect for your songs. 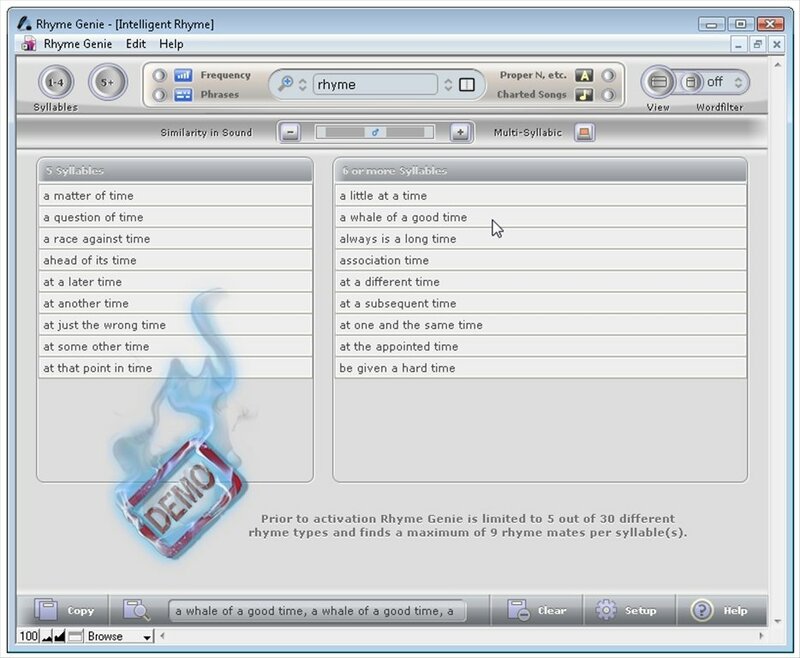 The trial version only offers a limited amount of rhyme types and a maximum of 9 rhythmic coincidences per syllable.